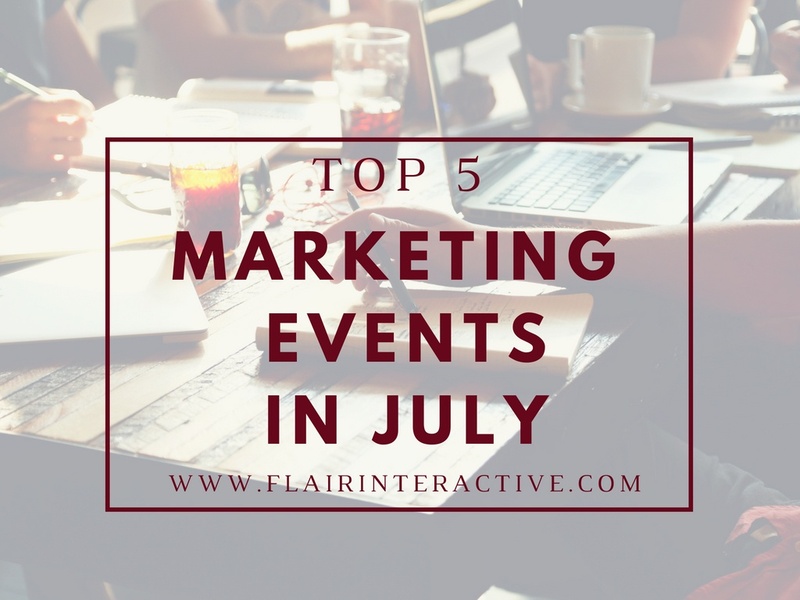 Coming at you with the must-go-to marketing events of July. The showstopper event that has something for everyone, from content marketing to SEO to social…MozCon is one of the most-anticipated industry conferences of the year. And if you need more convincing? This three-day event even has a friendly hugging robot, Roger – I mean, what more could you want from a marketing conference? We love online events, because packing your bags in the summer should be for vacation, not conferences. So put your suitcase back in the closet and post up at your desk for this online summit geared toward any marketer or biz looking to fine-tune their Facebook ad strategy. The live online training, put on by none other than our fave social media gurus at Social Media Examiner, will leave you in awe. You’ll walk away with a better understanding of the power and capacity Facebook has to offer, so you can generate revenue and further your brand-promotion through your Facebook ads. Join 20,000+ marketers along with Zappos, Google, LinkedIn, Twitter and more for what's being called marketing's online event of the year! This is a free online event all at the convenience of your own desk.